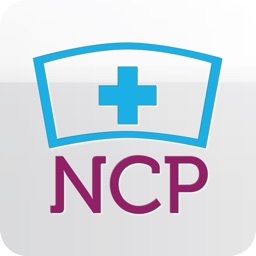 Nursing Care Plans features over 300 care plans with nursing diagnoses, interventions and rationales. 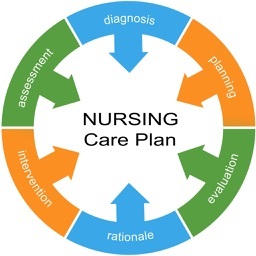 Nursing Care Plans helps nurses instantly write customized care plans for their patients. 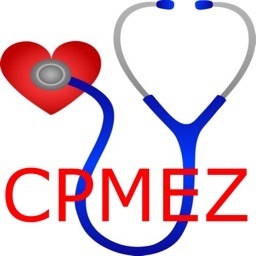 It includes care plans for medical-surgical nursing, maternity, pediatrics, and psychiatry. 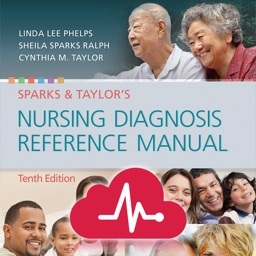 Edited by Linda Stanford, RN, MSN, this app is known for its practical format, and detailed rationales. 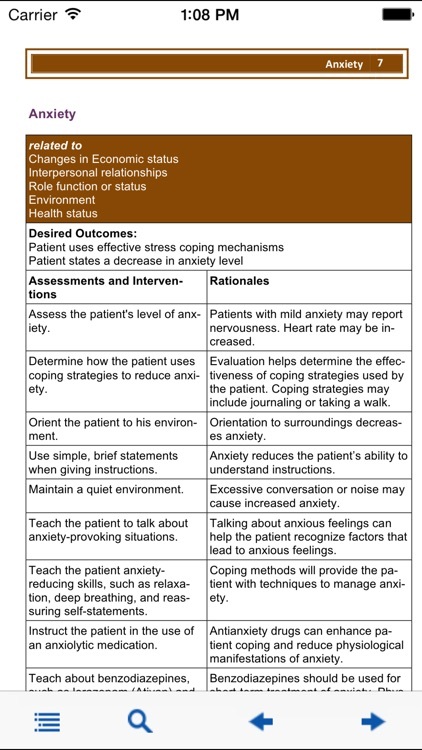 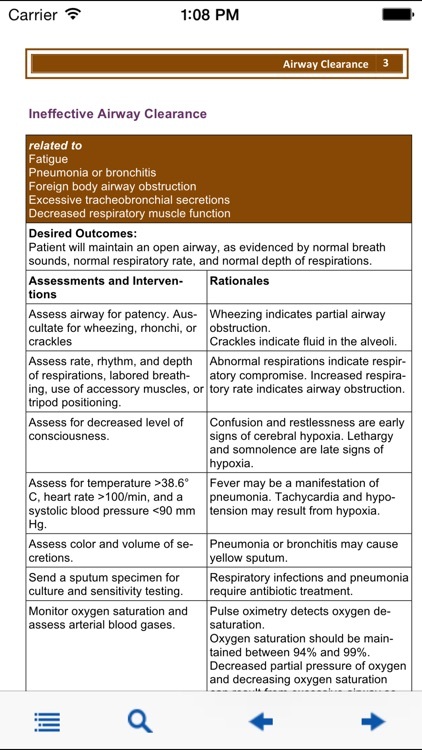 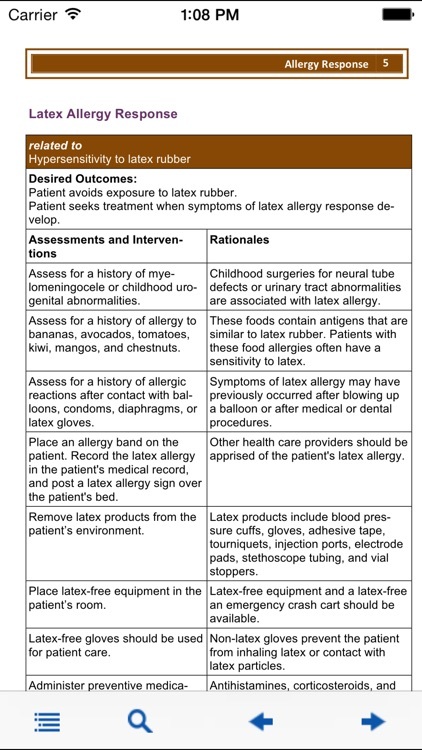 • A two-column format for nursing assessments/interventions and rationales makes it easier to find patient-centered information. 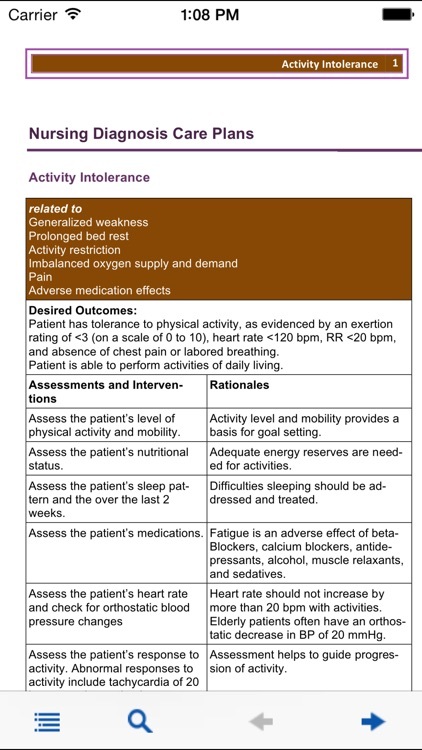 • Outcome criteria with timelines help you set goals for nursing outcomes and provide quality care. 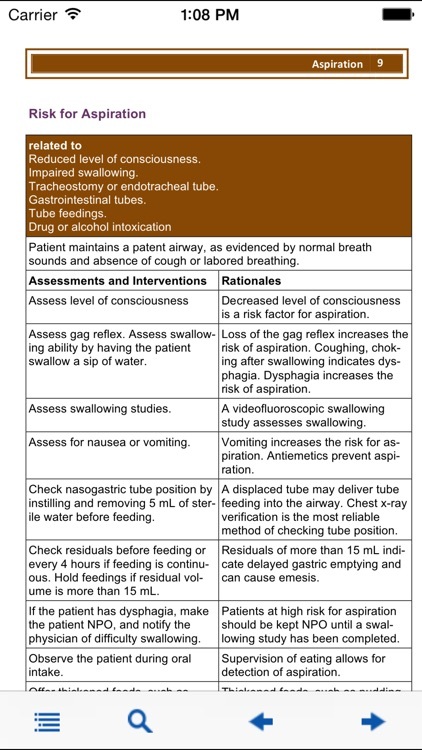 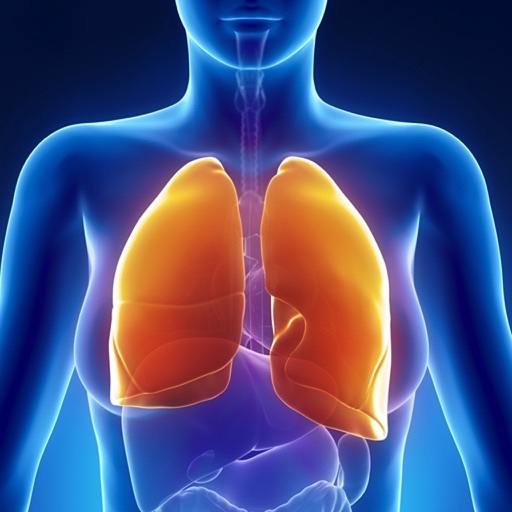 • NANDA-I nursing diagnoses include adult failure to thrive, chronic confusion, risk for shock, and impaired environmental interpretation syndrome.